Milford Haven is a port of call in southwestern Wales. Although the port is used on a regular basis by large tankers, it is visited primarily by smaller cruise ships. Located in the Milford Haven Waterway at the mouth of the River Cleddau, this port sits upon a fine naturally sheltered harbor. Over the centuries, it has been used as a shelter by the Vikings and as a staging area for various British invasions of Ireland. Still, the town was not established until 1790 when Sir William Hamilton launched a scheme to build a whaling center upon some land that he had inherited from his first wife. (His second wife was Emma, Lady Hamilton, who fell in love with Britain's great naval hero, Admiral Hoartio Lord Nelson). The whaling center was not a success and so the new town's economy shifted to shipbuilding at the royal naval dockyard. When the dockyard moved away in 1814, fishing became the town' mainstay. In the 1960s, Esso built a large oil refinery on the south side of the harbor. Several other large oil companies followed suit. Despite the oil and LNG facilities on the opposite side of the Haven, the town is not industrialized and has a country-like atmosphere with 19th and early 20th century buildings. There are cafes, boutiques, a museum and nearby sandy beaches. 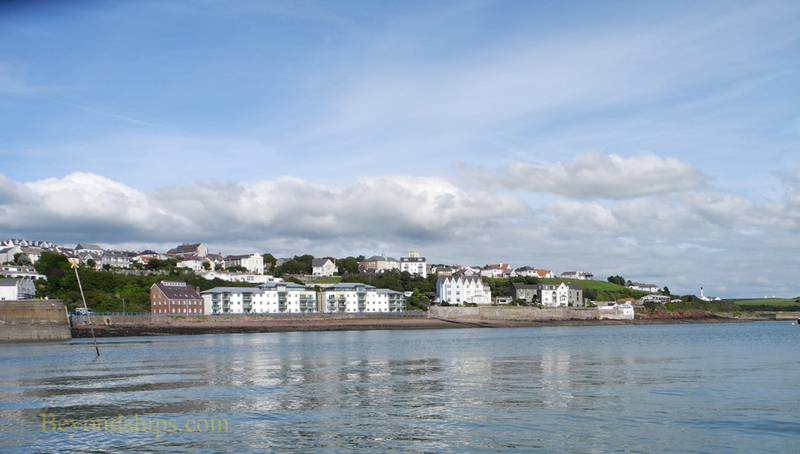 However, most cruise visitors use the town as a gateway to explore the rest of Pembrokeshire. 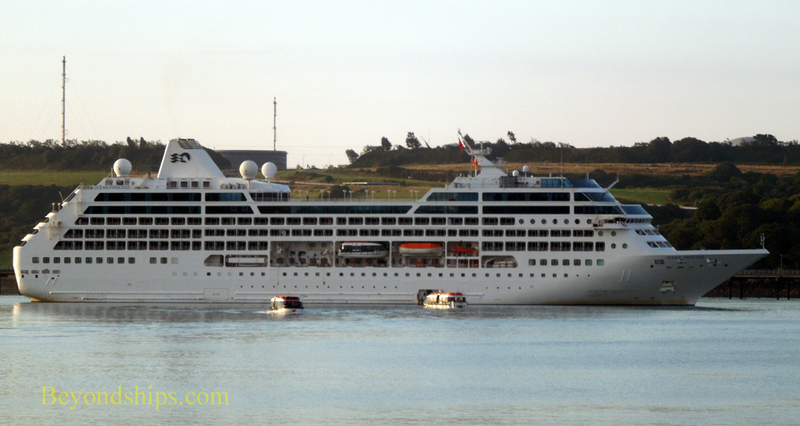 Very small cruise ships can dock at the Pembroke Port Anchorage. 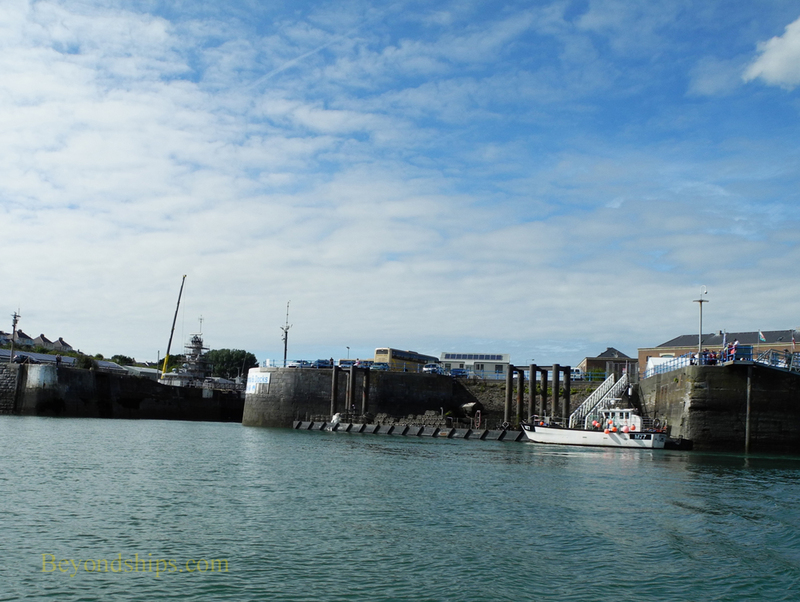 Other ships up to 220m anchor on Milford Shelf and tender to the Old Docks in Milford Haven. 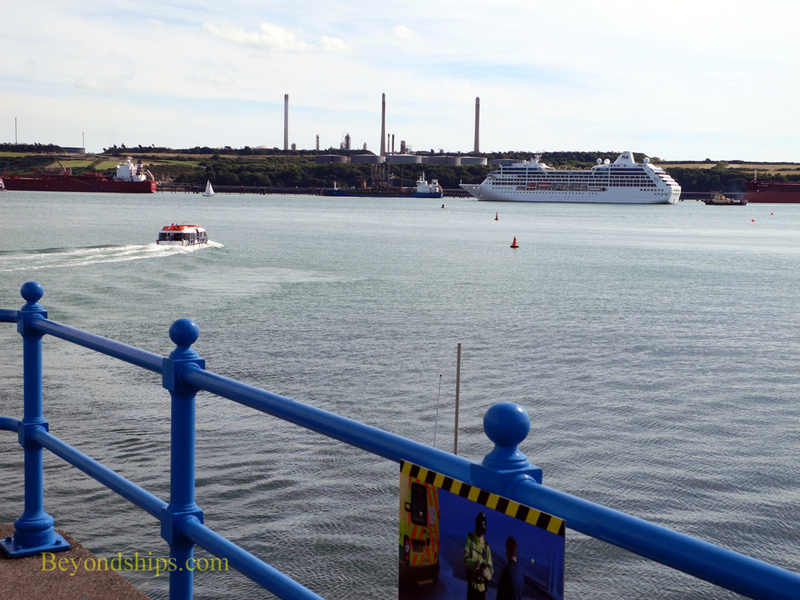 Some 3,000 cruise passengers visited Milford Haven in 2012. ​Above: The tender dock at Milford Haven. ​Above and below: Ocean Princess tendering at Milford Haven.